Smart businesses have their “silent partners” for good reason: they offer benefits to the company. From providing financial assistance to offering business consulting and manpower support, you can establish a variety of strategic partnerships in order to stabilize your operations, increase efficiency and achieve sustainable growth. One partnership you may have overlooked is the rental of a storage unit for your business. 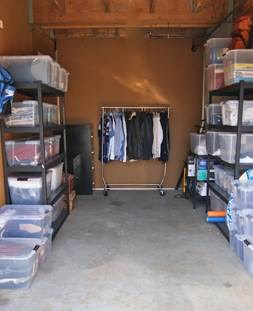 A storage unit near San Mateo has numerous uses and you can choose from a wide array of sizes. According to your needs, you can select one as small as a walk-in closet or as large as a conference room. Why seek a Storage Rental Unit Near San Mateo as Your Silent Partner? 1. More efficient use of your in-office space. As a business owner, you have no choice but to be cost-conscious. That means you want to make sure every penny you spend enhances operational efficiency and delivers return on investment. To maximize your space and boost employee productivity, you may need to free up space inside your existing office. To do so, you need a storage unit for files and documents that are not frequently required, extra office supplies, spare equipment, office automation, unused furniture, etc. 2. Inventory control - If your business requires stocking different types of inventory through the year, a storage unit can hold seasonal merchandise until you need them on your showroom floor. A storage rental unit can help you with non-seasonal inventory as well, such as allowing you the space to efficiently organize for faster, more efficient product retrieval. You can also minimize inventory shrinkage by giving the access key only to employees who have a legitimate reason to be in your storage unit, and tracking what they retrieve. 3. Cleaner, more accessible showrooms. By moving out unwanted displays and clutter, your showroom floor can have a fresh, more professional appearance. Also, by decluttering, you make your office and showroom areas more easily accessible. With inventory just a short distance away in storage, you can still fulfill orders without having to overcrowd the in-house stockroom or showroom with items. 4. Business remodeling made easier. As you remodel your office or entire business, you do not have to relocate. Instead, you can rotate furniture items in and out of storage as the renovation process continues in areas throughout the company premises. 5. Small businesses can benefit too. You do not need a big office or even a showroom to use a storage unit as a silent partner. If you work from home, you can maximize your residential space and free up your garage by storing work-related items in a storage unit. Most importantly, storage facilities can grant discounts when you have multiple unit rentals. With the right strategic partner, you can ensure that your stored items remain safe and you have peace of mind to focus on other important aspects of your business. Call 5A Rent-A-Space at 650-338-0062* to learn more about how a storage rental unit near San Mateo can truly become your silent business partner. 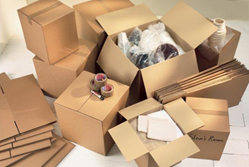 Read our FAQs to learn more about storing business inventory and other office supplies. You can also reserve your unit online now. If you are not sure how much space you will need, use our online “Space Calculator”.